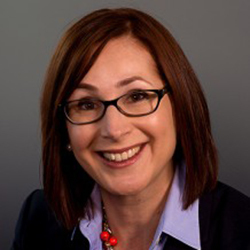 With nearly 25 years’ experience practicing business and intellectual property law, Catherine Cavella has a wealth of experience to help businesses navigate trademark, copyright, patent and contract issues to maximize the return on their investment in innovation. 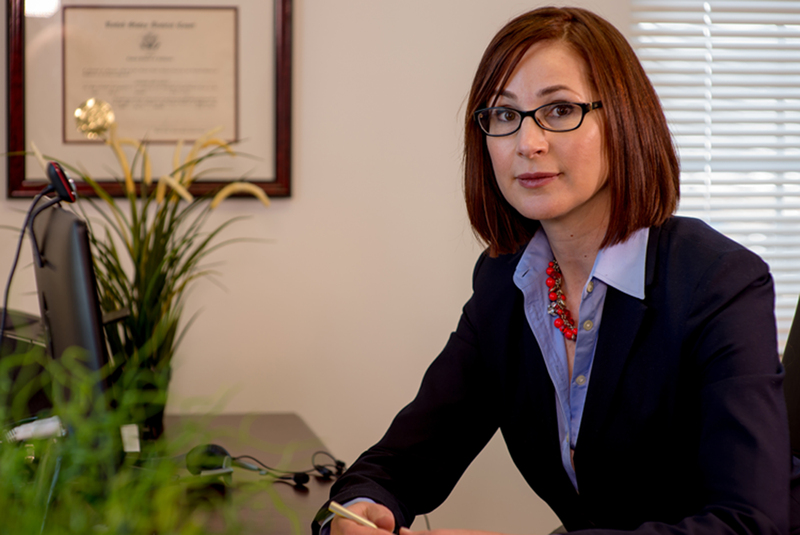 She regularly advises and assists clients with contract, corporate, intellectual property and domain issues. She has obtained over a thousand trademark registrations for clients including product design and trade dress trademark registrations, and has worked with hundreds of inventors and numerous patent attorneys on utility patents in fields ranging from software to chemical processes. Catherine holds a bachelor’s degree in cello performance from California State University, Long Beach, and a J.D. from Loyola Law School in Los Angeles, and is pursuing a degree in microbiology. She is a serial entrepreneur and the founder of Cavella Law Group and IP Works, PLLC. We are fortunate to partner with registered patent attorney Wayne Carroll, Esq. and his firm Inspired Idea Solutions, LLC, for patent projects. Based in Arizona, Inspired Idea Solutions delivers thoughtful, tailored patent solutions to small and medium sized businesses. Mr. Carroll has worked with IP Works since 2013 as an independent contractor while growing his firm. 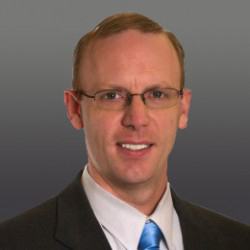 Before joining the USPTO as a registered patent attorney in 2003, Mr. Carroll worked as an engineer in the semiconductor industry with global leaders including Intel and National Semiconductor. As an attorney, Mr. Carroll has extensive experience in patent consulting, drafting, prosecution and litigation for large and small companies and solo inventors. Mr. Carroll also has experience with trademark, copyright and domain litigation. His well-rounded legal experience and real-world business experience make him a valuable resource for our clients. 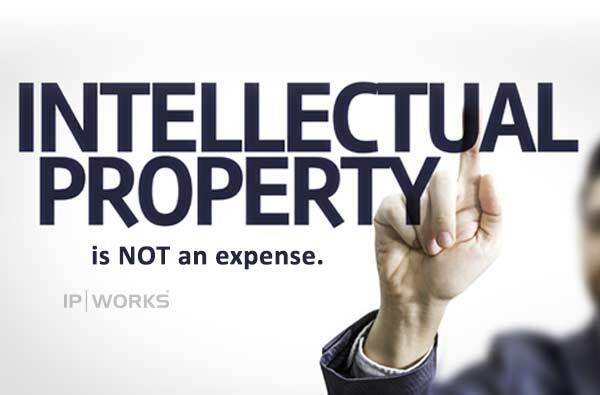 IP Works was founded in January 2012 by Catherine A. Cavella, Esq., a seasoned intellectual property and business attorney who believed there must be a better way for innovative startups and early stage companies to get the legal advice they need to compete against the big guys. So IP Works was born. We do not bill by the hour because we don’t like to pay by the hour and we know you don’t, either. We put ourselves in your shoes and strive to give you what you need – practical guidance and legal solutions focused on your needs and your business. We level the playing field by being your in-house IP and business legal team – without the big salaries. You decide whether you prefer fixed fees or a monthly subscription. Your CFO will thank you. Question of the Day: What is the difference between an LLC and a "dba"? Question of the Day: What is the difference between and LLC and a dba? Short Answer: An LLC protects your personal assets. A dba does not. Explanation: LLC stands for LIMITED LIABILITY COMPANY. If an LLC gets sued and loses, the person suing (the plaintiff) can only collect from the assets of the LLC, they cannot collect from the owner’s personal assets. Here’s an example: Jane Fisherman opens a bait shop. She signs a 5 year lease for $2,500/month, she takes out a $50,000 bank loan to buy product and set up her store, she signs up for internet and phones ($250/month), she hires retail salespeople ($5,000/month). Let’s say Jane forms Fisherman Bait, LLC and signs those contracts as Owner of Fisherman Bait, LLC (if the LLC is the contracting party and Jane signs on its behalf). Let’s say Fisherman Bait goes out of business in year 3, leaving $2,000 cash in the operating account, $5,000 of furniture and equipment and $50,000 in business debts. So now her creditors (the people she owes money for these business contracts – the landlord, the bank, the phone company, her employees) can sue Fisherman Bait, LLC for moneys owed to them. If they win, they get a judgment against the LLC for $50,000 and they can enforce that judgment (use it to get the money) against the assets belonging to Fisherman Bait LLC: its bank accounts, furniture, equipment, accounts receivable and other assets. But they cannot enforce that judgment against Jane’s personal bank accounts, her jewelry, the household bank accounts she shares with her husband, the joint bank accounts she has with her children, the family house, the beach house, the gold coins in her safe-deposit box, the money she gets from her investments, the investments themselves. Even though Fisherman Bait owes its creditors $43,000 more than it owns, and even though the creditors have a judgment from a court of law, and even though Jane Fisherman and her family have more than enough to pay what is owed on the judgment, the creditors cannot collect from Jane Fisherman or her family. Jane Fisherman and her family have built a nice nest egg for their future security, and that nest egg is protected from the creditors of Fisherman Bait LLC. That’s the beauty of Limited Liability. Now let’s say instead of forming an LLC, Jane registers a dba that allows her to open a bank account as Fisherman Bait. All contracts are signed in the name of Jane Fisherman dba Fisherman Bait. The contracts might be in the name of Fisherman Bait, a sole proprietorship, and she might sign as “owner” or “president” or whatever she wants to call herself. Now when she goes out of business and her creditors get that $50,000 judgment against her, they can enforce the judgment against anything she owns – bank accounts, real estate, investments, valuables. (There are some rules that allow judgment debtors to keep the basics like a residence, a car, tools of their trade, etc., and retirement accounts are also protected from creditors, but that’s a topic for another article). In this scenario, because Jane decided to just do a dba and not an LLC, she will lose $43,000 of her family’s personal assets. The Takeaway: If you have personal assets you want to protect, form an LLC or a corporation and use it properly. TIP: It’s not enough to just use the letters LLC in your business name, or to “register your business” using the letters LLC after your name. You have to actually file a Certificate of Organization with your Secretary of State and receive it back with a stamp that shows it has been accepted. In many states you need to pay an annual fee. ALSO: There’s no federal LLC. An EIN is a federal ID number, which is like the social security number for your business. It is the number you use on your business’s tax returns and the number that the IRS will use to track your business transactions. It does not give you any protection, even if you use the letters LLC. Using the letters LLC or Inc. or Corp. if you are not actually an LLC or a corporation is considered fraudulent. Protect Your Brand: Why Intellectual Property Rights Should be at the Top of Your Business Start-up Checklist. When I embarked on starting my most recent business, SnapDivorce® LLC, which provides divorce mediation services,[www.snapdivorce.com] one of the first things I did was turn to IP Works to research the availability of the name “SnapDivorce” and secure exclusive rights to it nationwide. I did this before making any other significant investment in the name, including incorporating it or developing a logo. The only other initial action I took was to secure the domain name “snapdivorce.com.” As an attorney and serial entrepreneur, I knew the importance of securing the intellectual property (“IP”) rights to a potential brand name before investing any significant amount of time or resources into developing it. When people think of intellectual property, they typically think of patents, which protect inventions. IP, however, also includes trademarks and copyrights, which are vitally important to every business, not just technology companies. Trademarks protect your brand names and logos. Copyrights protect any written materials you develop to support your business (forms, manuals, website content, etc.). Every savvy business owner knows that customers don’t just buy your products and services. They buy your brand. Your brand is what people think about you, and what differentiates your business from your competition. Take Starbucks, for example. Without the that name on the door, your local store would just be another unremarkable café selling overpriced coffee. Unless you are in an unusual asset-heavy business, such as real estate, manufacturing or commodities, your brand identity is what makes your business valuable. That’s why you need to protect it through trademarks and copyrights. Trademark and copyright protection is especially important if you hope to build a business that is more than local in nature, one that you can franchise or license, or one that you can sell in the future. That’s my goal and it’s why I knew that protecting the name “SnapDivorce” from the beginning was crucial. Fortunately, protecting your business name and other IP from the outset is relatively easy and affordable – in most cases probably just a few thousand dollars. It will be money well spent. If you are going to be pouring a significant amount of money and sweat equity into developing a brand, you’ll want to protect it. Think of it as an insurance policy that pays off with your success. The more successful you are, the more it will pay off. That’s why you need to get engage a competent IP attorney from the start—before you commit to a name or brand strategy. Add this relatively simple task to the top of your business start-up checklist. What is a trademark clearance? This is a critical first step in the registration process where a trained trademark professional researches and analyzes your proposed trademark to determine how available the mark is for use and registration. The benefit is obvious – proper clearance of your proposed trademark prevents you from investing time and resources in a mark that may get you sued or cannot be secured. Once your trademark is cleared, a trained trademark attorney prepares your trademark application based on your goals and the results of the trademark clearance and analysis. The more time, thought and analysis put into crafting your application and trademark registration strategy, the greater your potential opportunity and value. The owners of the most valuable brands invest in high-level trademark attorneys to develop strategic, integrated trademark strategies. Once you have reviewed the application prepared by your trademark attorney, you sign off and the attorney submits the application on your behalf. Your attorney may enable you to sign and have the trademark application submitted electronically. The application is submitted to the United States Patent and Trademark Office (USPTO) along with filing fees of approximately $300 per trademark class paid electronically, and a confirmation of the trademark filing is sent back to the filer, with a time-stamped filing date. The time-stamped filing date is the official priority date for your trademark application. Once your trademark is officially registered, your rights to your trademark revert back to that filing date. Any application filed later that is in conflict (even an application time stamped one minute later) is suspended or refused based on the filing date. 3. Prosecution Phase and Official Registration. You may receive an initial refusal from the USPTO called an Office action, or you may not – it depends on many factors including USPTO policy and the individual examiner assigned to your case. A thorough trademark clearance search and analysis enables your attorney to prepare your trademark application with the goal of avoiding potential Office actions. There are no guarantees and trademark examiners vary widely, however proper clearance and analysis prepares your attorney to better argue against an Office action, which can often be overcome. I have practiced trademark law for 25 years and examiners are becoming stricter as more and more applications are filed. Many trademark applications may still go through without one, however it is prudent to expect and prepare for at least one Office action. Once your trademark is officially registered with the USPTO, your trademark attorney will notify you and provide your printed certificate of registration. Unlike patents and copyrights, trademarks never expire. However, your trademark registrations will expire unless they are maintained. You may reapply as long as there has been no lapse in use, however, you will lose your priority. Letting your trademark registration expire is likely to harm you – and may prevent you from regaining registration of your mark. Even if you succeed, it will cost you much more to reapply than to maintain your registrations. 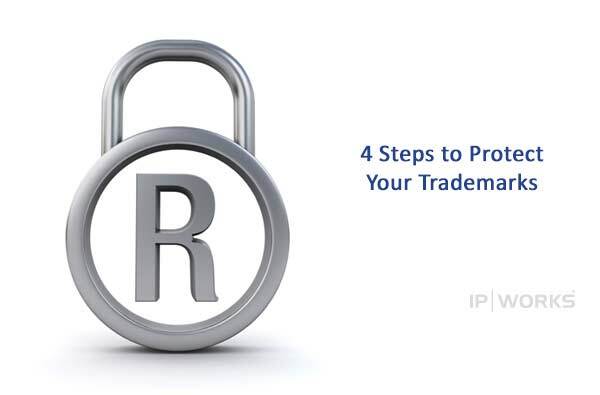 Your trademarks are valuable assets – don’t let them lapse! How do I maintain my trademarks? You must renew and prove you are using your trademark every 10 years thereafter, in years 10, 20, 30, etc. Procurement of your patents, trademarks and copyrights is an investment in growing your company’s assets. Thinking about intellectual property procurement including patents, trademarks and copyrights as an expense leads to bad decisions with irreversible negative consequences. Good CFOs and CEOs often look for ways to trim expenses without harming the company. When buying janitorial services, materials or office supplies, for example, it may make sense to go with a cheaper vendor, particularly if what you’re buying is not critical to the reputation or productivity of your company. That’s how most of us treat expenses when we see them on our P&Ls.But this kind of “minimizing expenses” approach can have dire consequences if applied to your intellectual property assets. In order to make better decisions for your company regarding its intellectual property, think of your patents, trademarks and copyrights as real estate, similar to a building to house your company. How much is it worth compared to other similar buildings? How appropriate and useful is it for what we need? Has it been inspected and found to be free of vulnerabilities? If it has vulnerabilities, have they been explained to you so you can make an educated decision about whether it’s right for you? How long will it continue to work for you? Will you outgrow it in 5 years? Is its useful life worth the total cost? Besides the purchase price, how much will it cost you to own it and run your business from it? Will utilities be more expensive than in another building? Does it come with a risk of getting sued? How clear is the title? Does it have a dangerous parking lot or other features that expose you to ongoing risk? If so, what’s the cost to insure against that? Will it need a major improvement next year? Does it send the right message to your employees, customers, vendors and colleagues? Is it a building you’ll want to brag about, or one you’re ashamed to have anyone visit? When looking for real estate, most of us consider a list of factors other than price – we then make a choice based on all of these factors, meaning sometimes we will buy a property that costs a little more – because it’s worth it. And we don’t worry about the extra cost, because we know we are gaining an asset that is worth more to us than we paid for it – an asset that we expect to hold its value and even appreciate. It’s the same with your patents, trademarks and copyrights. Yet many CEOs, CFOs and CTOs don’t approach decisions about intellectual property the same way they approach decisions about other kinds of property, such as real estate or equipment. It’s not because they aren’t smart or dedicated or excellent leaders of their companies. It’s simply because no one ever explained to them the difference between “lowest price” intellectual property and “investment grade” intellectual property. Some of them learn the hard way, when they need to enforce their patents and trademarks and discover they don’t work, or when a potential buyer does due diligence and identifies problems with the company’s intellectual property portfolio. This does not need to apply to you or your company. Remember to think of your intellectual property the same way you think of your other property and you will make better decisions with more confidence, decisions that will create valuable assets for your company.